When you are searching for a dedicated agent who will deliver results and skillfully guide you through the home selling or buying process, Laura should be top of the list. With over twenty years of Marketing and project management experience, Laura utilizes an organized, solution- based approach to finding the best home for you. Her passion for client service provides buyers with step-by-step guidance and commitment. As the Advertising Manager for a Fortune 500 company, Laura learned the importance of a unique, tailored message for each listing. Rest assured, your home will be seen by the right eyes at the right time to pique interest and finalize the sale. 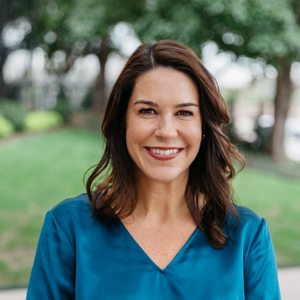 Laura is a third generation Park Cities native as well as the fourth generation with a career in Dallas real estate. She grew up learning the business with real estate in her blood. Laura is a Phi Beta Kappa graduate of the University of Texas at Austin and is a lifelong member at Highland Park United Methodist Church. When she is not busy assisting her clients, she spends time with her husband and two daughters. Since 2004, she has resided in the highly sought after White Rock Valley. She is involved in PTA and directed the White Rock Elementary Auction for two years. Laura also volunteers with local charities such as Pamper Lake Highlands and 100 Women of Lake Highlands.